Heather Holtzman, Paula Knipp, and Kassie Sherman from St. Petersburg College were selected as the 2019 winner of the Award for Excellence in Reference and Adult Library Services, sponsored by ReferenceUSA, for the Speed Dating project. This project is an interactive series of instructional and supplementary materials that will be used to educate students and faculty on the different types of databases offered by St. Petersburg College. In addition to understanding the difference between the databases, information will be provided on how to navigate the databases and access useful features like citation generators. The materials are designed to emulate the experience of participating in a Speed Dating event, but instead of meeting potential dates, students and faculty will meet potential databases to match their research needs. The Speed Dating project was developed to enhance library instruction by providing an engaging and relatable experience for students to connect with the database resources available at our college. Humor is used in each of the resources to help students overcome the stigma that databases are boring or difficult. 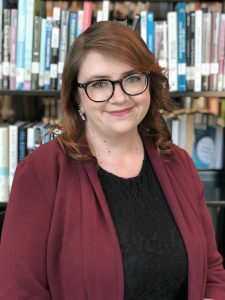 Heat her Holtzman has worked as a Reference and Instruction Librarian at St. Petersburg College since 2018 where she is focused on creating a community of care through information services that encourage thoughtful collaboration, engaging programming, and innovative marketing. Previously she worked as a Senior Library Technician at SPC’s Tarpon Springs campus (2016-18) where she focused on innovative programming, student engagement, and technical services. In all experiences, she strives to learn new things and to help her community. These efforts have included serving as an ALA member, volunteering in the public sector at Palm Harbor Library, and coordinating outreach opportunities in the greater community. At SPC, Heather has served on the Career and Academic Communities Leadership Triad Team (Business), the SPC Reads Committee, and implemented the weekly writing workshop “Hard Times” that created a safe and collaborative support network for students to express themselves through writing. Most of all, Heather feels fortunate to work with the talented and enthusiastic staff at SPC; such relationships have been instrumental in developing original concepts like Speed Dating with Databases. Paula Knipp has worked as a Reference and Instruction librarian at St. Petersburg College (Florida) since 2008. 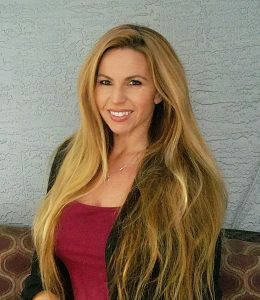 During this time, she has served on numerous college committees including the Career and Academic Communities Leadership Triad Team (Arts & Humanities), the Leepa-Rattner Museum Educatio n and Outreach Committee, the Instructional Technology Advisory Group, faculty advisor for the Gaming and Anime Club, and numerous other campus and college-wide initiatives. She currently serves as co-chair of the SPC Reads Committee (One Book One College program) and as Secretary of the SPC Alumni Association Board of Directors. Paula is a member of the Florida Library Association’s Legislative and Advocacy Committee and has previously worked on the FLA Personnel and Recruitment Committee. She has been published in Florida Libraries and the Journal of Library Innovation and has presented at conferences state-wide including the panel discussion Combining Your Superpowers: Academic and Public Libraries Join Forces (2018). Passionate about library services, Paula and has helped secure grants for the center’s STEAMworks technology lab as well as a grant to gamify library instruction sessions called Not-so-trivial pursuit: Incorporating games and active learning into library instruction. Kassandra (Kassie) Sherman has worked as the Library Services Paraprofessional at St. Petersburg College’s Tarpon Springs Campus since 2016. 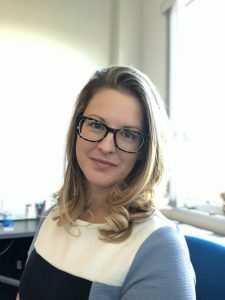 As a current graduate student in the Masters in Library and Information Science program at the University of South Florida, Kassie combines her current studies with practical, on-the-job library experience to further develop her instructional skills. At SPC, Kassie creates innovative book displays and markets the many library and tutoring events held at the Tarpon Springs Campus. She is a member of the Leepa-Rattner Museum of Art Education and Outreach Committee which focuses on creating educational opportunities with the museum for St. Petersburg College students as well encourages outreach to the community at large. She has also assisted in securing two grants; DNA and Dali (a grant that supported Biology courses in creating a community art project inspired by Salvador Dali) and STEAMWorks (a grant that allowed the procurement of a CNC carving tool for the existing STEAMWorks technology lab). Established in 1990, the RUSA Award for Excellence in Reference and Adult Library Services, sponsored by ReferenceUSA is a citation and $1,500* monetary award presented to a library or library system for developing an imaginative and unique resource to meet patrons’ reference needs. The award will be presented at RUSA’s President’s Program, on Saturday, June 22 at ALA’s Annual Conference in Washington, D. C.
The selection committee includes: Suzanne Odom (Chair), Lillian Dabney, Kelly S. Janousek, Jackie Parker and Josephine Tucci.